Scotland’s Islay region is the legendary home of peaty Scotch whisky. The island features eight active whisky distilleries, and a ninth is currently distilling but is not yet open to the public. 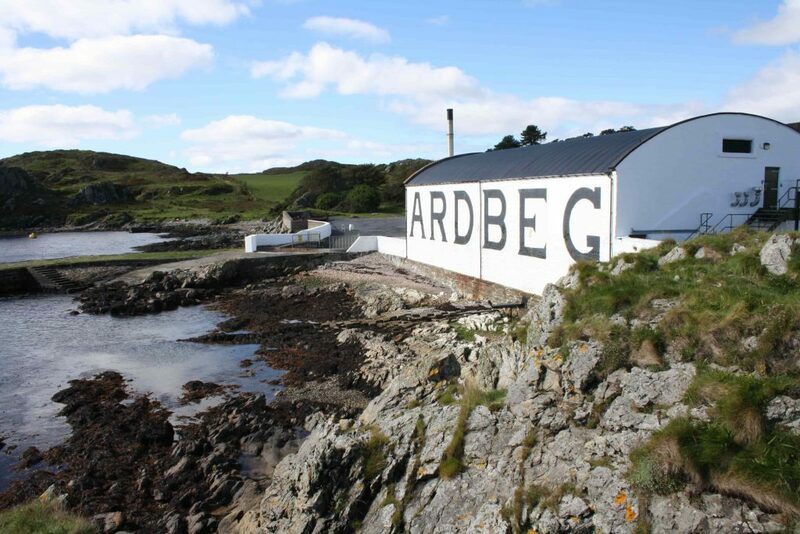 Islay distilleries are open throughout most of the year, and most offer tours and tastings. Many distilleries also feature editions that are only available at the actual distillery, making a pilgrimage rewarding for smoky whisky devotees. Getting a flight from Edinburgh or Glasgow is quick and easy and highly recommended. The ferry doesn’t operate from time to time due to inclement weather. Many distilleries are closed on Sundays. 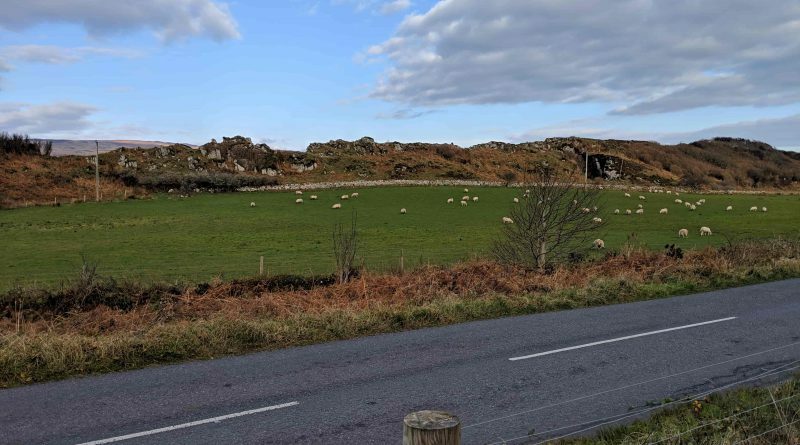 The island is mobbed during the annual Feis festival every summer, though there are a lot of great events and distillery tours. There is no uber on the island. Taxis are expensive, especially Lamont! Expect to wait a while to go places if travelling by taxi. Distilleries with blue pins offer tours. Those with red pins don’t. Last updated 3/17/2019. You’re strongly advised to call ahead and book tours, either over the phone or using the internet. If you do just one tour on Islay we’d highly recommend you do the Bruichladdich warehouse experience. You will not be disappointed. Full review of the warehouse experience tour. Tours: Distillery tour, £5 per person. Warehouse experience and Botanist (gin) tour £25 per person. Times: check their site for the latest hours. “It tastes like a burning hospital” reads a sign welcoming you to Laphroaig. They know what they’re about! Lovers of the intensely iodine, peaty whisky know what they’re getting into, and the distillery doesn’t fail to deliver. We did the full Laphroaig distillery wares tour and were very happy with our decision. 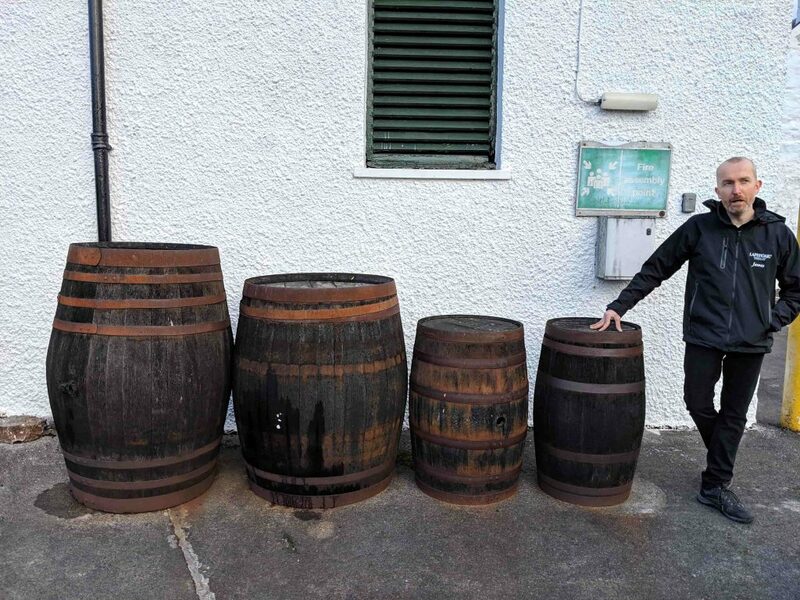 Set of Laphroaig barrels. The little guy at the end is the quarter cask! Times: we recommend checking out the site for times. 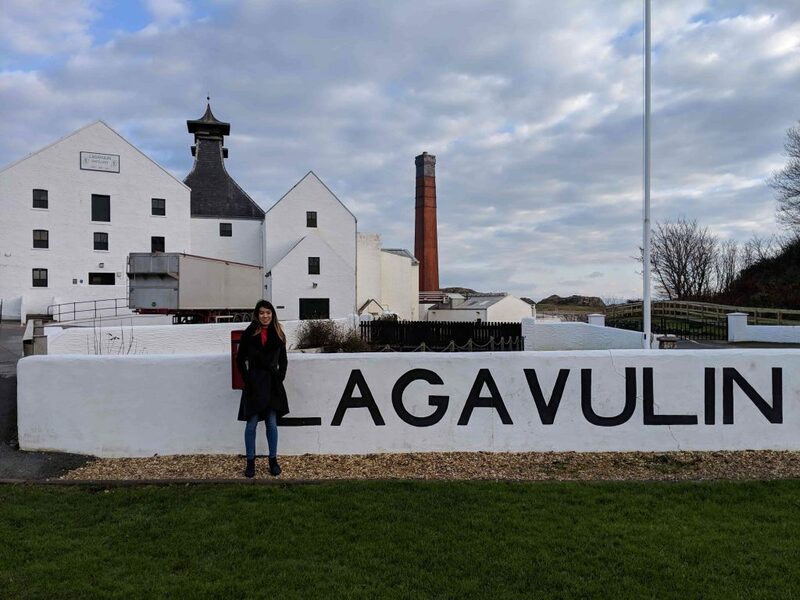 Lagavulin is a wonderful place. Their juice is a perfect blend of sweet and peat. For two hours in November, we were the only people there. We met our guide Steph in the gift shop. 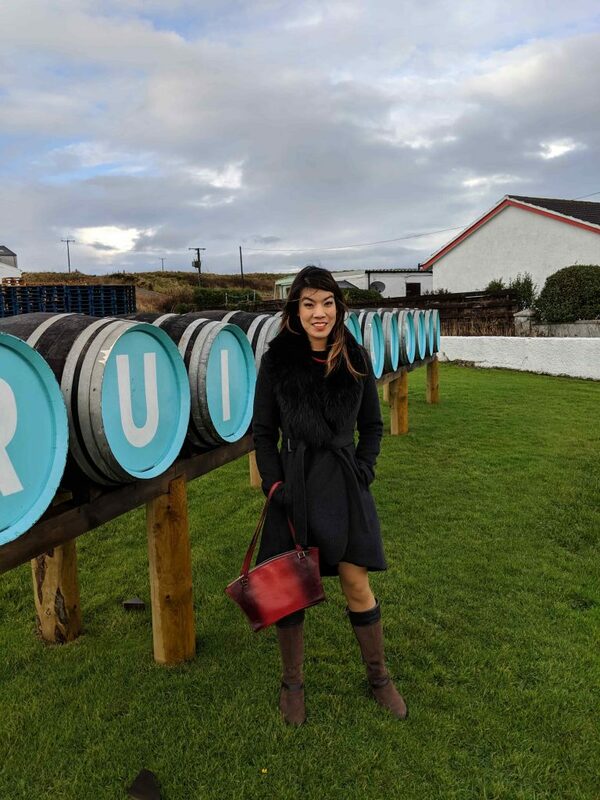 We showed up early, having completed an extensive tasting at Laphroaig, so Steph took us to a sitting (and drinking) room across the distillery grounds. Lagavulin used to be blended into “white horse” before the single malt revolution. The blend sold moderately, but not exceptionally well. The distillery features an array of tours, but the sensory tour was the only one available when we were booking. Full review of the sensory tour and tasting. Times: Check their website for the latest. Ardbeg is a short walk from Lagavulin down a beautiful pedestrian path. The distillery boasts the best food of any Islay distillery (pretty much everyone on the island agrees with that). Ardbeg is very peaty, and they often have a number of their rarer releases available at their tasting room. Tours: Ardbeg has a variety of tours, including the table tasting, available any time, their full range tour and tasting, £25 per person, and their distillery tour and wee taste, £8 per person. Times: For full times and details, check out their website. Islay’s Farm Distillery, Kilchoman is a bit of schlep from the other distilleries. They’re located in the North Western corner of the island, about a 30 minute drive from Bowmore. The distillery is well worth the trip, as they produce some of the most interesting malts, with a wide variety of interesting cask finishes, with names that one can only assume one is mispronouncing. 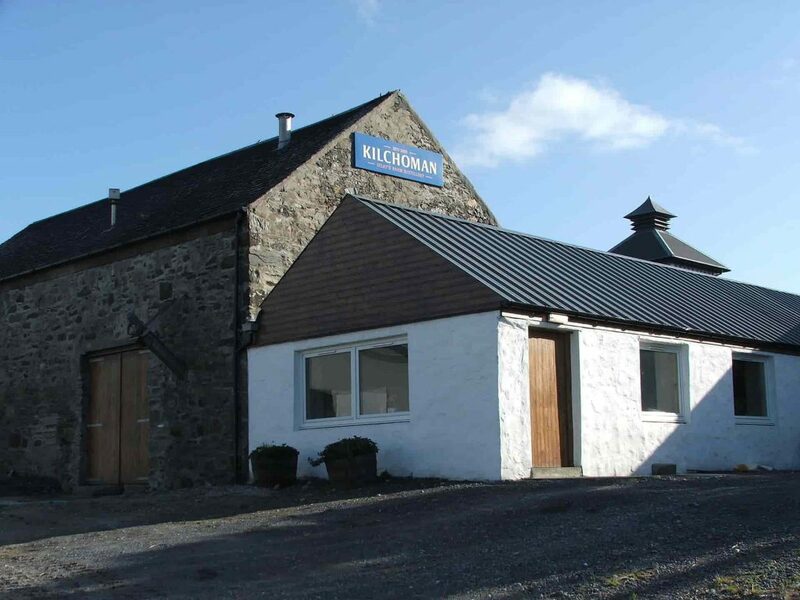 Tours: Kilchhoman offers a £10 distillery tour and a £35 premium tour, and has group bookings for more than 8 people. Times: Check their website for timings and DEFINITELY CALL AHEAD, according to the site, they could take us, but when we got there they said they were closed for repairs for a while. Bunnahabhain is one of the milder Islay whiskies, and it’s quite different from the region’s other spirits. 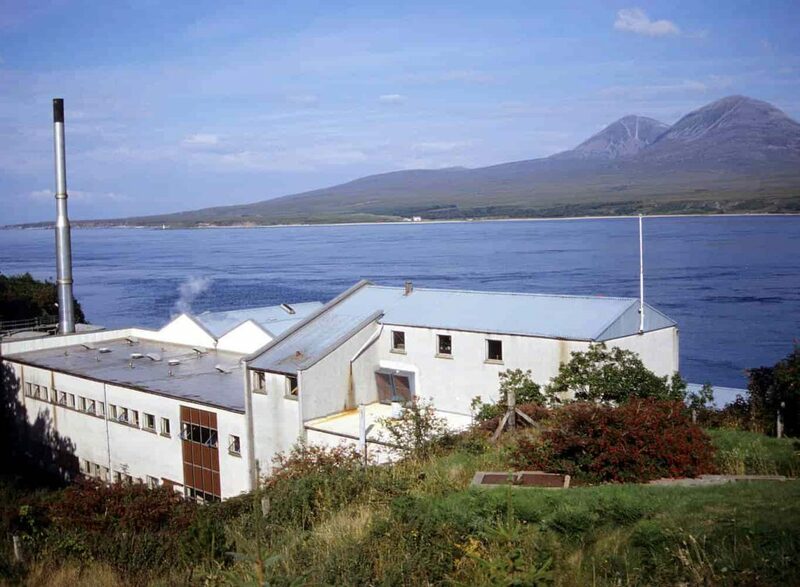 The distillery was established in 1881 near Port Askaig, and the nearby village of Bunnahabhain was established to house the distillery’s workers. £175 Ultimate experience has a set of very old whiskies. The £35 premium tasting features a set of 5 expressions, many cask strength whiskies. They also offer a £30 Warehouse 9 experience tour, and a £5 quick look tour and £7 end of day set of tours for folks looking to pop in and check out the distillery quickly. Times: Check their website for the latest times. Pronounced “cull-eela,” Caol Ila is generally the smoky component of Johnnie Walker, but will occasionally reach the world as a single malt. 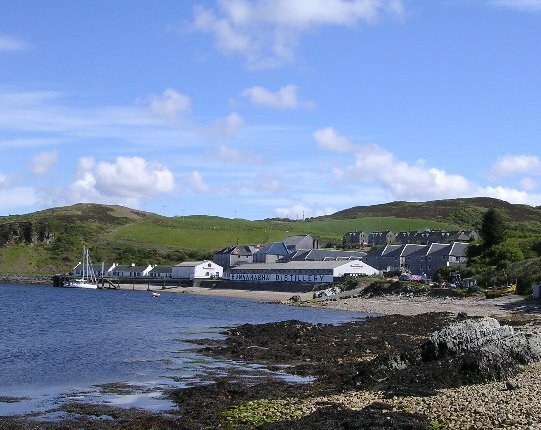 Founded in 1846, the The distillery is located on the North Eastern end of Islay, right next to Port Askaig, home to one of the island’s ferry terminals. Tours: Caol Ila has 3 tours, the Distillery tour is £6, the chocolate and whisky tasting for £23, with ridiculously good chocolates from the Highland Chocolatier, and the cask strength experience for £26, quick tour, then a trip to taste whisky from the cask. Times: check their website for times. Bowmore is both a distillery and a main town in Islay. The distillery itself is located in the middle of the island, and you drive by it to get many places on the small island. Bowmore is the oldest distillery on Islay, founded in 1779, but there was likely an illegal distillery on the location before that. 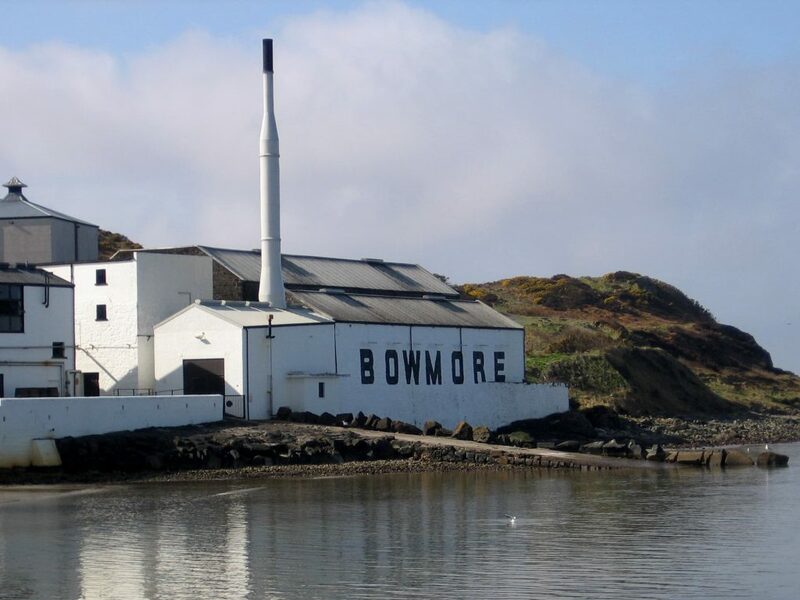 Tours: Bowmore has 4 tours. Their basic Unlock Hidden Depths tour is a 1 hour tour and runs £10. The Time Savoured tasting tour costs £30. Their vault secrets tasting tour costs £70 and needs advanced booking. Lastly they offer a £130 tour that includes a trip to their water source. Times: Visit their site for timings.